Thermo King manufactures the most dependable and durable refrigeration and heating units on the market. 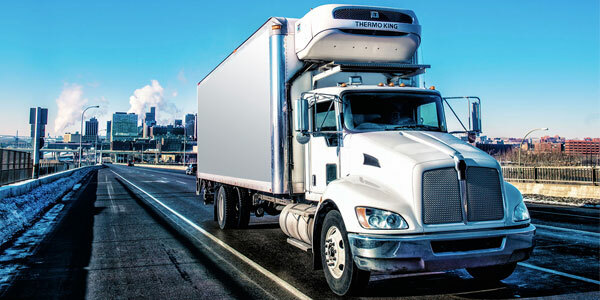 Through engineering innovations and continuous technological advances, Thermo King provides the largest, finest temperature control units for trucks, trailers, rail cars, and ocean-going containers around the globe. They adhere to a strict set of high standards, honesty and fair service are integral parts of who they are. 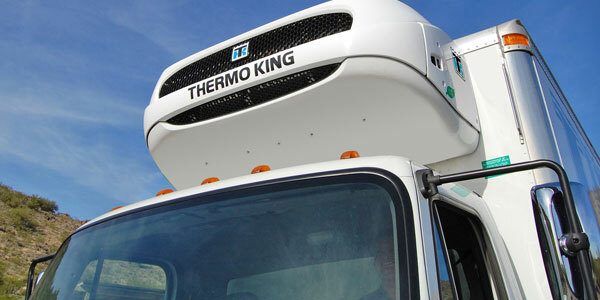 Thermo King's complete line of self-powered truck refrigeration units deliver a lower cost of ownership. At its core is QuickTemp technology, which lowers maintenance costs, improves fuel economy and provides unmatched reliability. Better ControlImproves temperature recovery and provides more consistent temperature, keeping your load fresh. Time SavingsPulldown with QuickTemp is up to 65% faster, saving operators time on the front end of trips. Lower CostsQuickTemp reduces operating costs by reducing fuel consumption and required maintenance. Double-Digit Maintenance SavingsExtended maintenance interval of 2,000 hours is the longest in the industry, lowering downtime and maintenance costs.